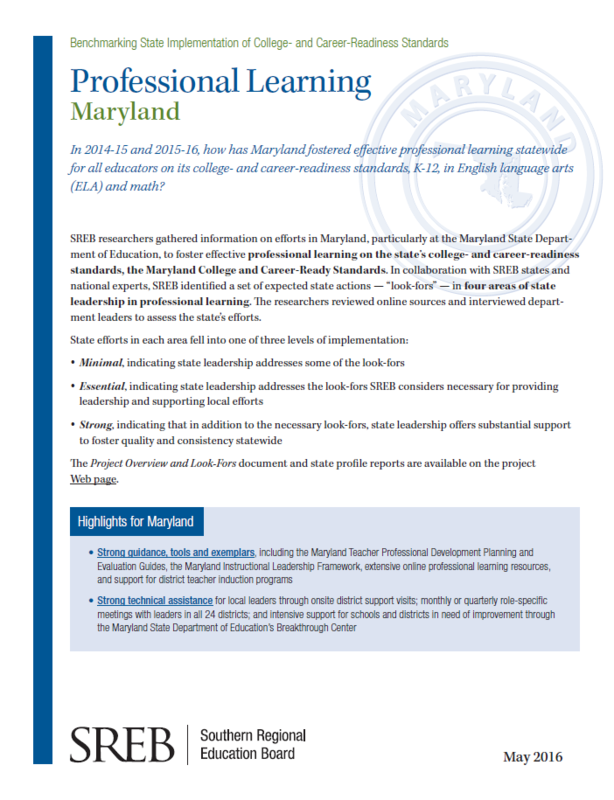 SREB works with Maryland policymakers, colleges and schools to help them improve education. 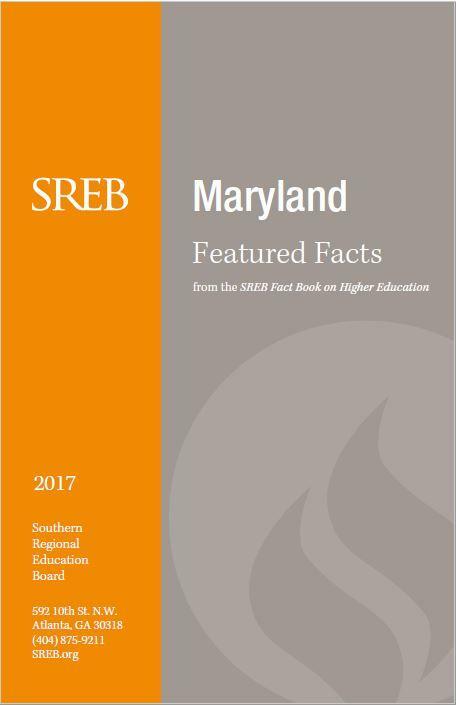 From this page, find independent, accurate data, reliable best practices and ways to share scarce resources — plus details on how Maryland uses SREB’s targeted programs and services. All Maryland members of the Council recently left office; we will update this listing when the governor makes new appointments to the Council. 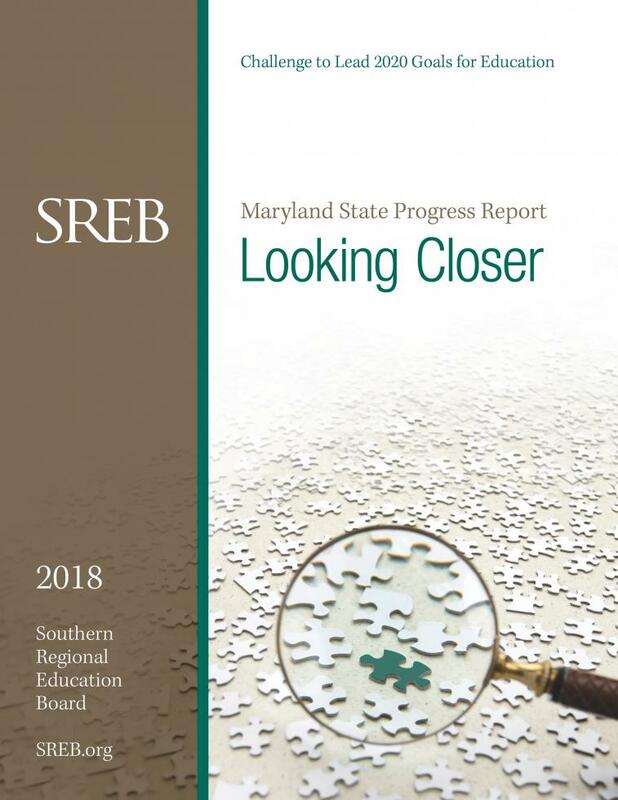 To help policymakers assess and improve college affordability in their states, SREB provides tailored reports on the policies, programs and prices that drive affordability. Each member-state profile details net price at different types of institutions, state financial aid based on need or other factors, student borrowing, and percentage of family income needed to pay for college at different income levels. 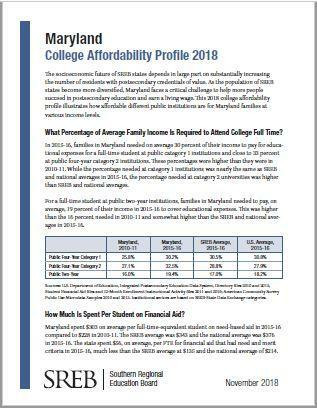 Maryland-specific data on population, demographic, education attainment, enrollment, graduation rates, workforce, tuition, debt, funding, faculty salaries and more. Explore and compare state policies and practices around college and career readiness. Browse for state-specific data on elementary, secondary and higher education. Read legislative actions on budget and education topics, by state and date, or by topic.